You know, these interested me from your book for two reasons. One, we’ve been attending Lutheran churches lately and two, they’re much smaller and less intimidating than the more tradition “rosary.” Just the idea that I have to pray all of those beads makes me feel like a failure before I begin. But this seems much more do-able and less endless. Each has it’s own ready made “topic” for inspiration. This I think I could do. Hi, Lisa!!! Try them! 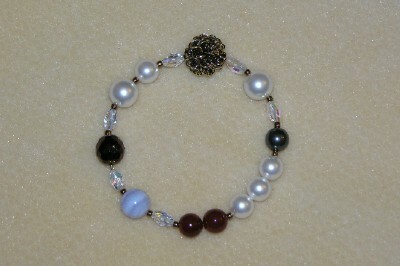 With your knowledge of beads, I bet you could come up with a really beautiful set that is inspirational to you. And you must know a handful of prayers – or can find some in the book – that would work for you. I am excited for you! 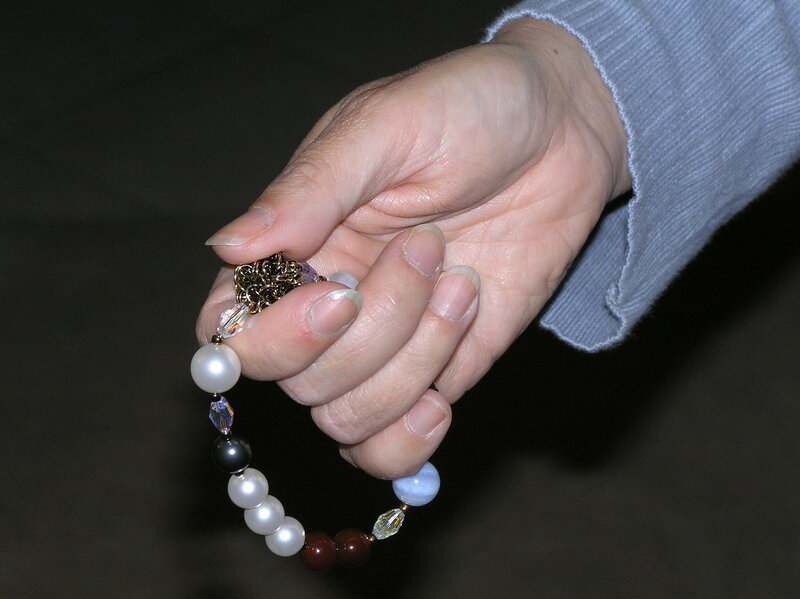 You are the first close friend of mine who has said she might have an interest in trying some prayer beads. If you make some, be sure and send me some pictures and we’ll post them here – or if you blog about it on your site we’ll link to it. LOVE YOU. I don’t have your book, so I’m not sure if it’s in there or not. But we do have our own version of prayer beads. It’s called the Lutheran Lentan Rosary. It’s actually really nifty. Just wanted to let you know. If you’re curious about em, just google it. I’ve got a set of my own. Thank you for your wonderful book, Kimberly: I have learned so much from it, have made several Anglican rosaries and a Roman rosary, and have taken this up as a prayer practice. I recently acquired a copy of “Pearls of Life,” by Martin Lonnebo, and the order of the Pearls in his book (p. 9) seems to be a little different from the order you give in your diagram on p. 41 of “Bead One, Pray Too”: the Baptism and the Resurrection Pearls are interchanged. Before I make a set, I was wondering if you had any information on the correct order?